The simultaneous press conference was organized by the pro-life group, Team P.L.A.Y, a collaboration of Missouri pro-woman non-profit groups, and was held just days after Planned Parenthood filed a lawsuit challenging the state’s abortion laws, which seek to protect women from unsafe abortion practices. Joining Team P.L.A.Y. outside Planned Parenthood were State Representative Diane Franklin, District 123; State Representative Mike Moon, District 157; State Senator Ed Emery, District 31 and State Representative Rick Brattin, District 55. Also in attendance at the event were Brian Westbrook, executive director of St. Louis Coalition for Life, former president of Missouri Right to Life Pam Fichter, syndicated radio show host Stacy Washington, and many others. It has been uncovered that 911 calls have summoned emergency ambulances to a Planned Parenthood abortion facility right here in Missouri 63 times since 2009, averaging one 911 call and ambulance response every 42 days. The fire department’s recent release of documents which record the reasons for these calls, teamed with the images of women being carried out on stretchers, captured on camera by first hand witnesses is UNBEARABLE and clear cause for the issuance of this safety alert. She said the group recently learned that despite the abysmal treatment of women at Planned Parenthood’s St. Louis facility, the abortion chain now has plans to start performing abortions in at least two other locations. The only thing stopping Planned Parenthood at this time, according to Forck, are regulations that require facilities which provide abortions to be licensed as ambulatory surgical centers and for abortion clinic physicians to have hospital admitting privileges and/or a written transfer agreement with a nearby hospital in case of an emergency. “At least two Planned Parenthood locations in Missouri have been refused a new surgical license due to their inability to comply with basic safety standards which all other surgical centers are maintaining throughout Missouri,” Forck said. 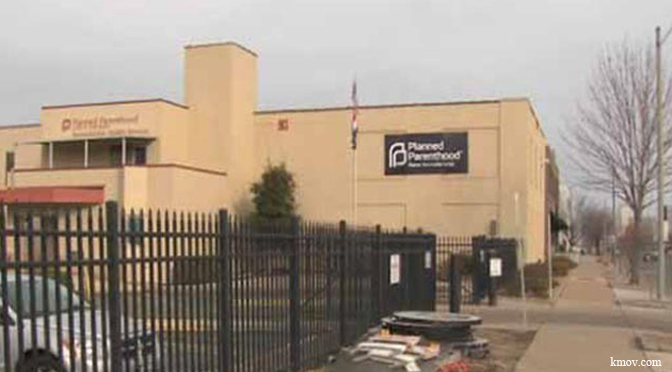 According to records on file with the St. Louis Fire Department, 63 ambulances have been summoned to the St. Louis Planned Parenthood facility for everything from abdominal pain to hemorrhages, strokes, and seizures. Team P.L.A.Y, calling the list of emergencies a display of Planned Parenthood’s “wanton disregard for the safety of women,” says they are concerned that the emergency incidents at the St. Louis Planned Parenthood could indicate that current laws may not be being enforced. They also caution state regulators from rushing to grant any more abortion facility licenses to Planned Parenthood at this time. In 2015, a manager with the Department of Health and Senior Services told a Senate committee that during an earlier inspection of Planned Parenthood in St. Louis, the department discovered that not all pathology reports were being sent to the department as required by law. Planned Parenthood was given time to correct the deficiency, but no other action was taken. In 2013, the department’s inspection of the clinic found several violations, such as expired drugs, “copious amounts of visible dust” in exam rooms and rust on equipment. … [O]ur own Missouri State lawmakers (Sen. Ron Richard, Sen. Kurt Schaefer, Sen. Jeanie Riddle, Sen. Will Krause, Sen. Mike Kehoe, Sen. Eric Schmitt, Sen. Bob Onder, M.D. and Sen. David Sater) issued an explosive “whistleblower”report in July, 2016 after investigating Missouri Planned Parenthood locations, using Planned Parenthood’s own internal documents to cite shocking indifference to women’s health, possibly constituting medical malpractice. State Sen. Ed Emery called Planned Parenthood’s motivation for its lawsuit “financial,” noting that other surgical centers in the state are subject to the same regulations. “Planned Parenthood’s ill-advised attempt to thwart the vitally important and very basic safety laws, which every other surgical center in the state willingly complies, must be aggressively opposed,” he stated. “The primary concern comes down to safety of the women,” Moon said. The group is asking Missouri citizens to contact the state’s Attorney General, Chris Koster, as well as prosecuting attorneys in Greene County (Dan Patterson), Jackson County (Jean Peters Baker), Boone County (Daniel Knight), and Jasper County (Dean Dankelson) to demand an immediate investigation into Planned Parenthood. In addition to putting a spotlight on Planned Parenthood’s dangerous abortion practices, Republican State Rep. Diane Franklin announced a plan to introduce legislation to ban fetal tissue donation, saying that lawmakers will consider several abortion regulations during the 2017 legislative session. Forck says Team P.L.A.Y has uploaded additional information about Planned Parenthood’s dangerous and unsafe practices at the website WomenMustBeSafe.com, and are tweeting using the hashtag #WomenMustBeSafe to further spread their message.